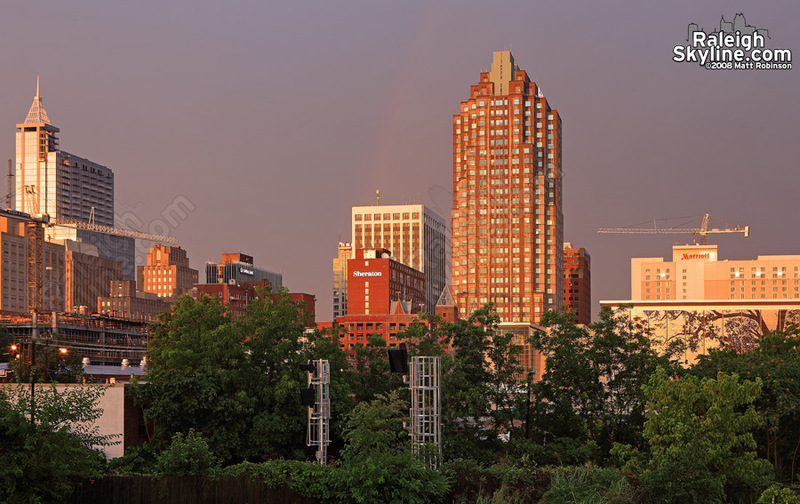 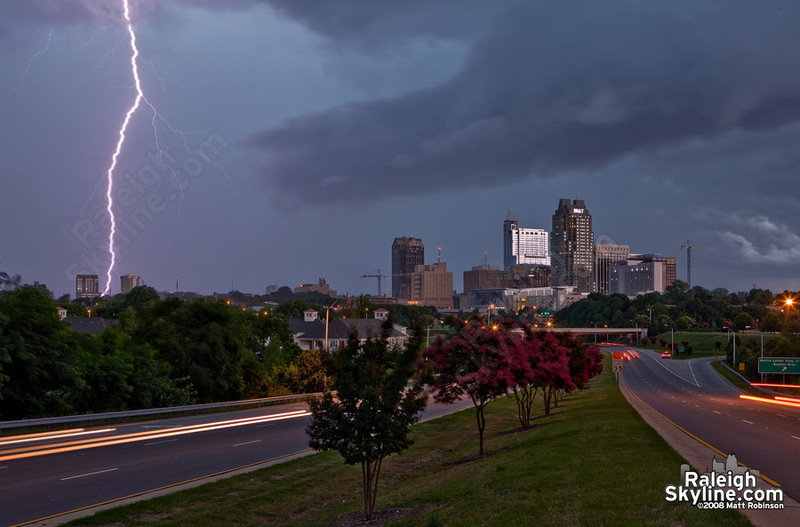 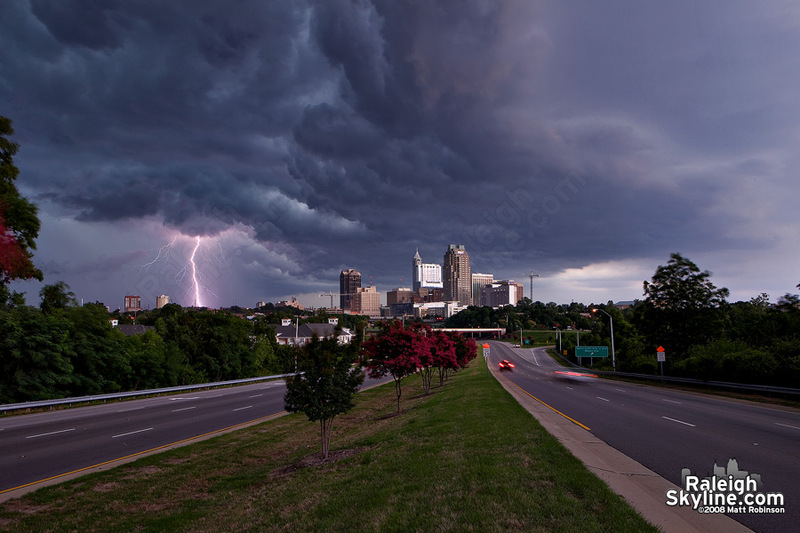 I’ve been waiting years to get a shot of lightning like this over the city of Raleigh. 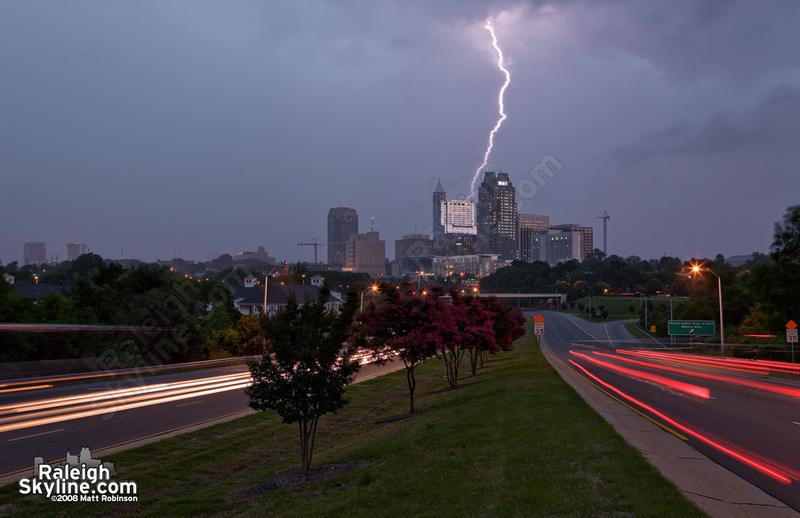 It finally paid off tonight. 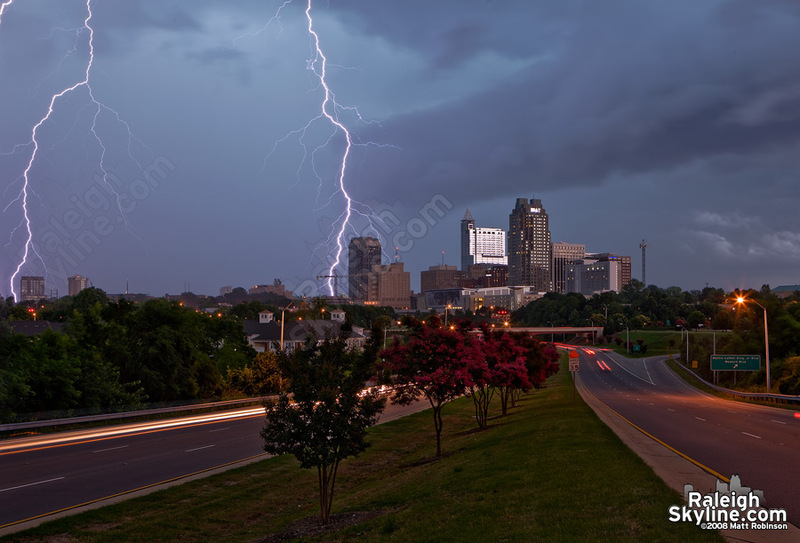 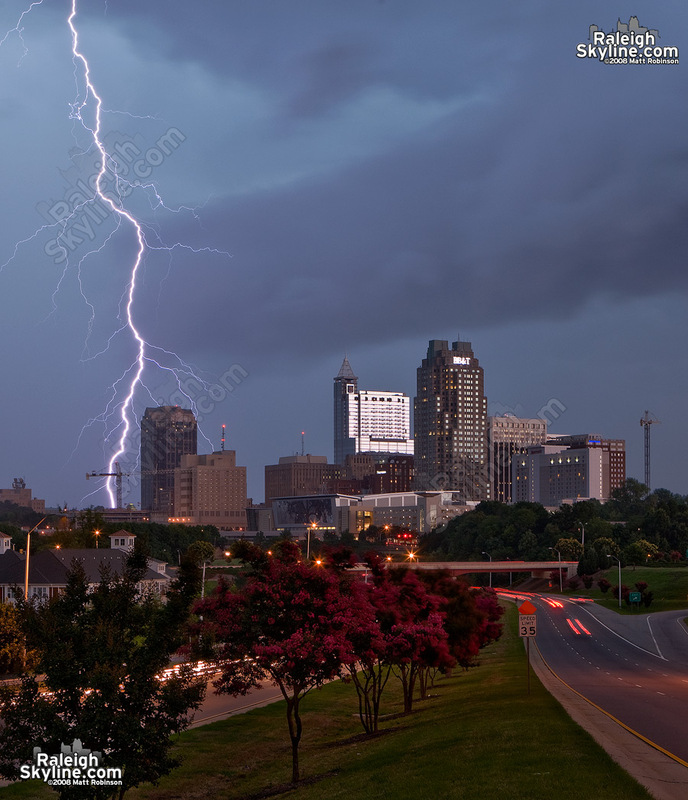 Cloud to ground lightning bolt cracks the sky over downtown Raleigh. 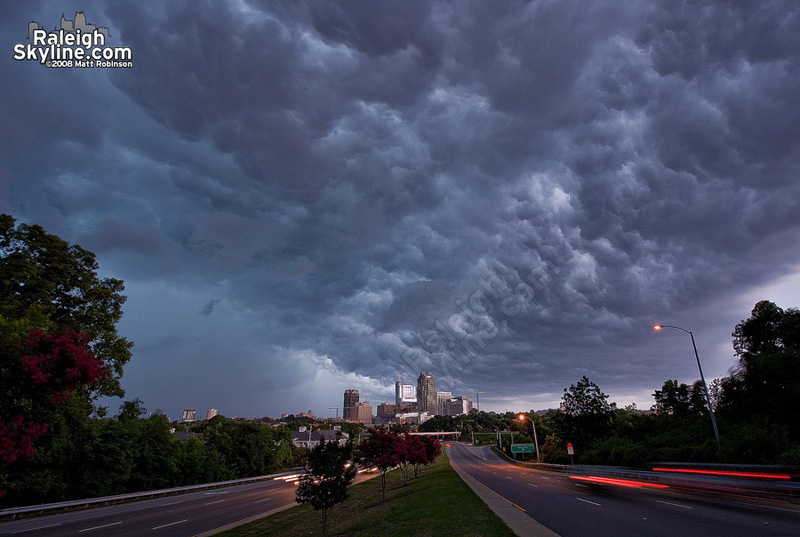 Whales mouth formation before the rain.